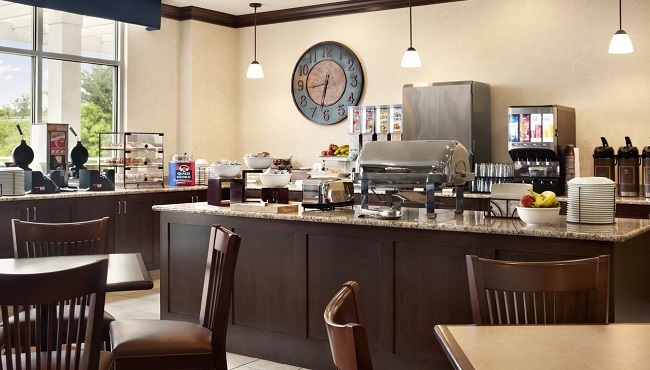 Prepare for a trip through Amish Country by digging into the free, hot breakfast at the Country Inn & Suites hotel in Dover, OH. Drizzle warm syrup on a waffle, pour a bowl of cereal, or spread butter on a muffin, and then complete your meal with a mug of hot coffee. When it’s time for lunch or dinner, ask our friendly staff for recommendations. Nearby restaurants include Dutch Valley, serving home-cooked Amish cuisine; Uncle Primo’s Restaurant, featuring classic Italian dishes; and The Pointe Dining, offering upscale American favorites like prime rib.